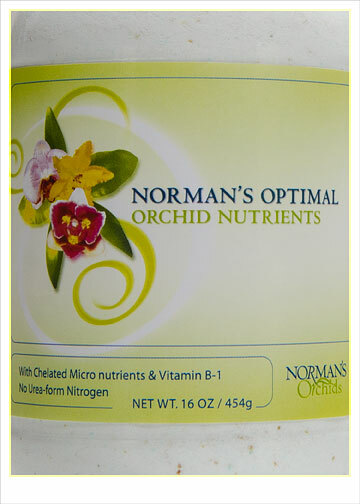 Norman's Orchid Nutrients is more than a fertilizer, it is a complete orchid nutrients contained all essential major and minor nutrients in one easy to use concentrated powder form. Simply dilute the one teaspoon per gallon of water and feed your orchids twice a month. 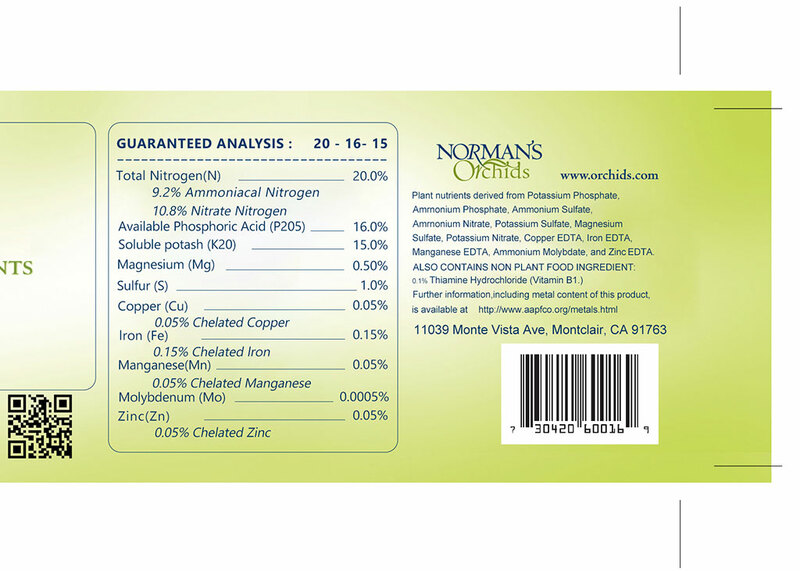 Formulated by Norman and used at Norman's Orchids year-round. 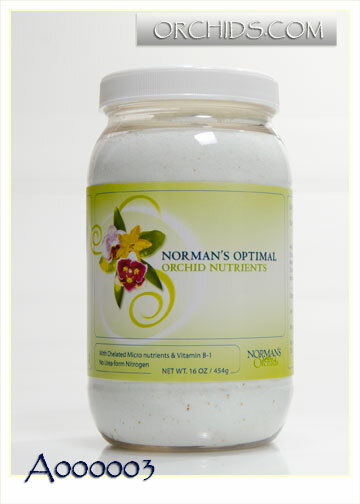 This optimal orchid nutrients contain no Urea Nitrogen and tested on orchids in vitro and in vivo. Safe on all orchids.